Welcome to Florida living at its best! 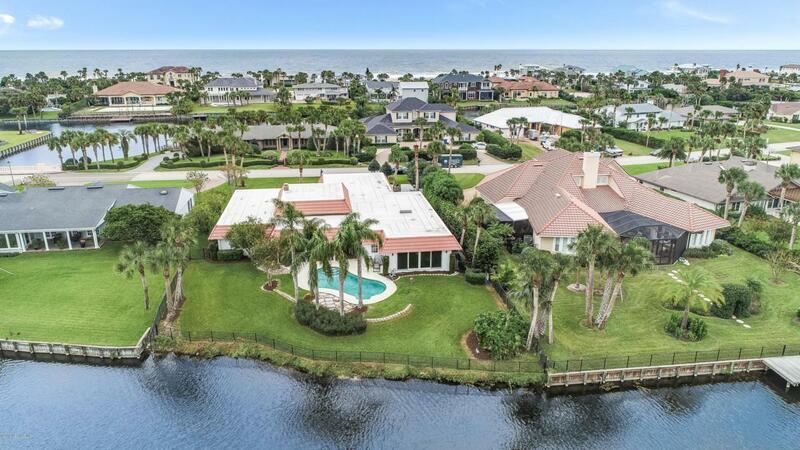 Situated on one of the largest, most prestigious streets in the heart of old Ponte Vedra, this Spanish Revival-styled home with a signature red roof offers expansive views of a lagoon filled with wildlife and the sounds of the ocean just a block away. The home's main living area has been completely renovated to highlight the views, and the gourmet kitchen is now outfitted with Thermador appliances, a prep sink, gas burners, and a large granite island. The main feature of the adjacent family room is a 19x8 glass wall overlooking the lake and backyard, which is home to herons, hawks, and many other species of birds. Also brand new is a laundry room large enough to double as an arts and craft center, a drop-off area for coats and backpacks, (see more)or even an extra food-prep area. Outside, a large covered lanai overlooks the fenced yard, beautifully-maintained pool, and lagoon, and could be a gathering spot year-round. 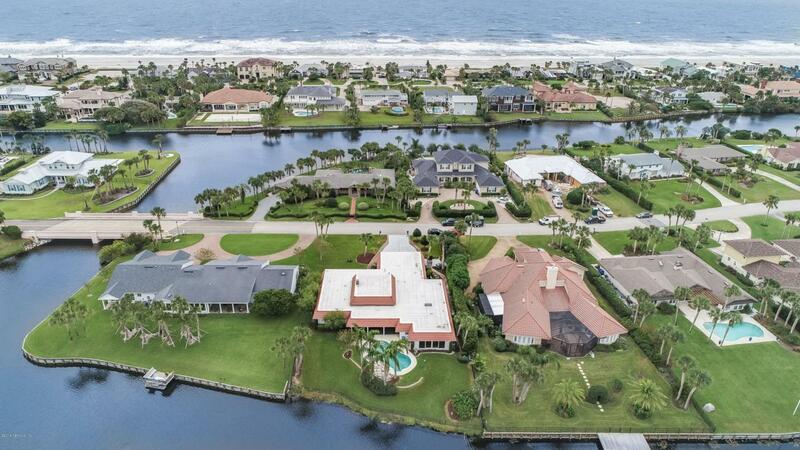 Take a 10-minute stroll to the beach to watch the sun rise, and watch the sun set over the lagoon from your own backyard!